SnackBox’s signature snack are its world famous hotdogs. Our custom made recipe includes an all-natural beef hotdog, lightly smoked and seasoned to create a well-rounded unique flavor. 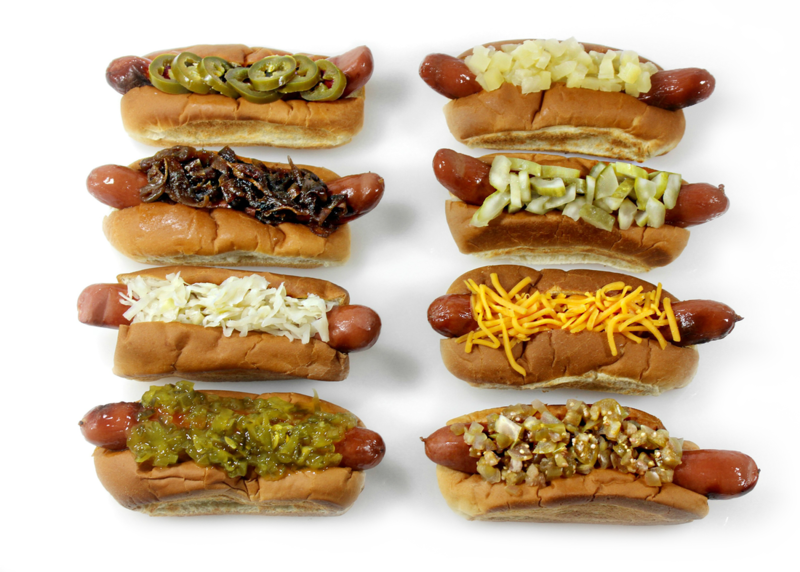 The hotdogs are encased in natural casings which give them their trademark snap that accompany each bite. During the cooking process, the hotdogs are steamed and finished off on a high heat griddle. They are offered on a toasted lobster roll bun, and topped with a variety of home-made specialty toppings, such as the popular spicy pineapple relish. The SnackBox Original structure was designed and built in Montreal. As a totally self contained mobile unit, it provides for all supplies and systems necessary for the full service operation of a “mini” restaurant. SnackBox is committed to the highest quality products, from the best of New York’s local bakeries and purveyors.